Absolutely gorgeous home featuring a nice open floor plan with vaulted ceilings & laminate floors throughout the 1st floor. Bright & spacious kitchen with an island, granite countertops & SS appliances. Master bedroom & laundry room on 1st floor. The 2nd floor features 2 bedrooms, 1 full bath, a large bonus room & a flex room. This beauty sits on almost 1/2 an acre with a privacy fence. 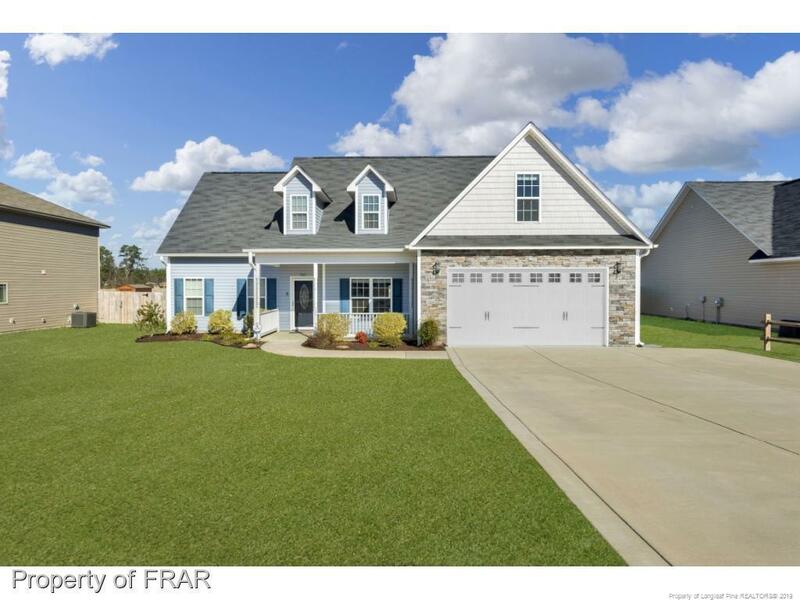 Minutes from Fort Bragg, Southern Pines & Aberdeen. Make it yours before it's gone!!! Directions: From South On Raeford Rd To 211, Turn Left Onto Fulford McMillan Road. Left Onto Subdivision, House Will Be On Your Left.